2019, I’m comin’ for ya: and this time I’m gonna be smart about it (no pun intended). 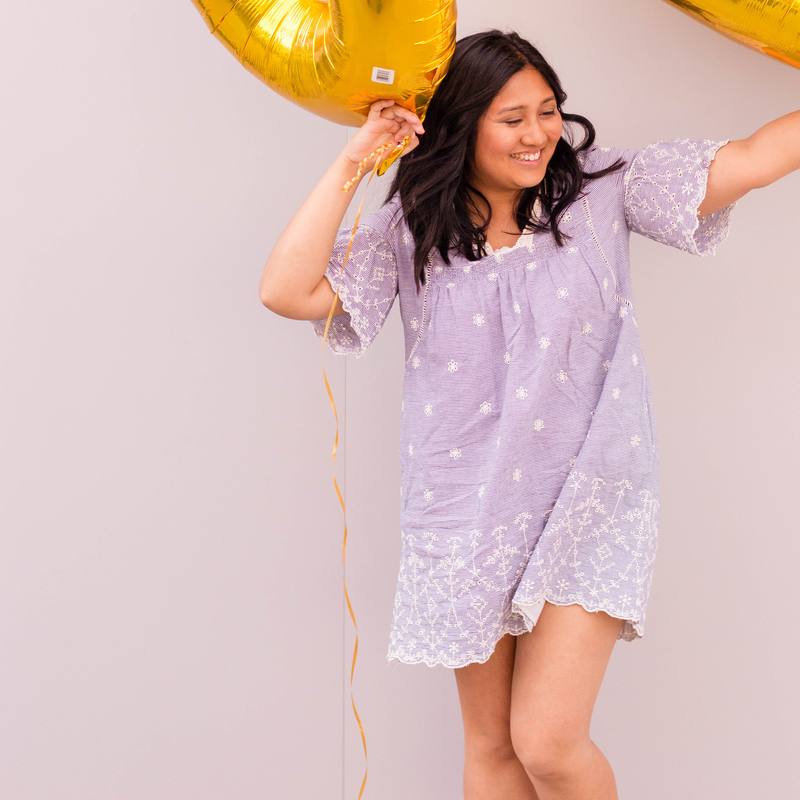 Here are my NY resolutions through SMART goals. Applying what I learnt from high school and my college years. In any case, this streaked followed me into college. The only gym class I ever exceeded in was yoga. (Thank goodness it was offered in post-secondary education.) However, in every one of my physical education courses, there was the implementation of SMART goals. This was an aspect of gym class that I always loved. For this new year, I want to apply my resolutions exactly through the SMART goal guideline. I’ve always been one for New Year goals rather than resolutions. I think goal-achieving is a much healthier practice. Resolving all the “wrongs” we’ve experienced from the previous year is less positive and puts an unrealistic pressure on us. Specify your goal, be as descriptive as possible. How will you be measuring your goals? How will you measure their progress? Measurement makes goals more tangible. Is your goal attainable? It should be challenging but realistic. Is the goal worthwhile? Is it applicable to your life? Is it something you want to do for yourself? Does it mean a lot to you or do you feel pressured to set this goal? In what timeframe do you want to accomplish your goal? Pre-motherhood, I was a very avid reader. This year, I want to get back to the books and read 12 for 2019. I will log my progress in a journal every week (how far I’ve gotten into the book by pages, chapters, etc.). On a separate page in the journal, I will also list each book once it is completed. By the end of the year, the list should have 12 titles (all of which I will share on the blog). 3. Bring the book with me wherever I go: when Joe’s driving and we’re headed to visit family or run errands, I can read while we’re on the road. I miss reading and I really want to make this a possibility. Also, reading helps reinforce my writing skills, thus further helping my blog and brand. To read 12 books in the year. I will read one book a month. Health log: I will keep a beverage diary and hold myself accountable by jotting down what I drink in the day. Also, I will keep a log on my daily physical activity routines and what exercises work and don’t work. With the help of a scale, I will also log my weight every week. Ever since giving birth, I have yo-yo’ed with my weight. Despite everybody’s harsh criticisms (more on that on a later blog post), I am doing this to be happy with myself. This is all for me and not to prove anyone wrong. I hope you have a fantastic start to the new year. Have you ever heard of SMART goals? I need some new goals for this year! I have a couple ideas of what I like to do and I am hoping by the end of the year all of them will be achieved. I really do like what you have written here and I may use this is my inspiration. Those were some great goals I am not one for resolutions but these ideas are good for me too. I do have hopes for building my brand this year. Although I don’t subscribe much to resolutions, I am all about setting short term and long term goals and paths to achieve them. Here’s wishing you luck in reaching your goals for the year and Happy New Year! Yes, I’ve heard of SMART goals before, and I really love the concept. It’s such a great way to kickstart the new year. Good luck with your goals! I try to always have some goals at the beginning of the year, but I don’t freak out if I don’t make them. Breaking goals into manageable portions is a great idea. Sounds like you have an effective plan in place! Best wishes to you in the New Year! I think your plan is a great one! You’ve got this. I can’t wait to see how you rock 2019! I love this “smart” way of thinking! And, we have some things in common here. I loathed PhysEd. My goodness. I had to take three classes in one year to make up for the previous failed classes. Ugh. 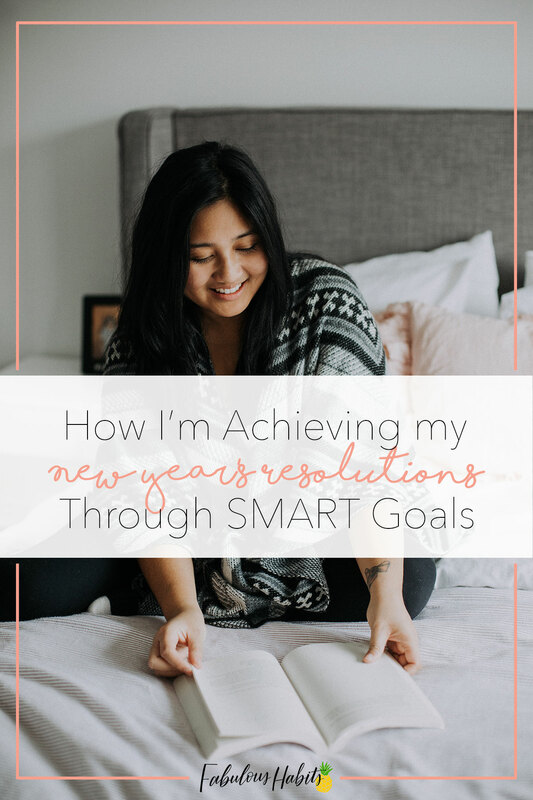 Loving your smart goals for the year and I can’t wait to see you thrive! You have so many great points about making resolutions. I guess I usually only make some goals but nothing specific or serious, when I should be taking them more seriously, yet making sure they are achievable. I want to make a lot of changes this year and I will keep these things in mind. I love the idea of “smart” goals. I had never really thought about it that way before—mine are usually so vague. I like the idea of being specific and measurable this year! The SMART system sounds like a clever way to reach your goals! I used to read a lot more, too. My goal has been 52 books a year for a long time. I only reached it once since my son was born. Maybe I’ll drop it down to 24 (two a month) so that I can actually feel accomplished when I reach it instead of disappointed when I don’t. It’s important to set specific, attainable goals. If you’re too vague it’s definitely hard to attain that. I gave up soda last year and surprisingly have stuck with it. Probably the first New Years Resolution I’ve ever kept. 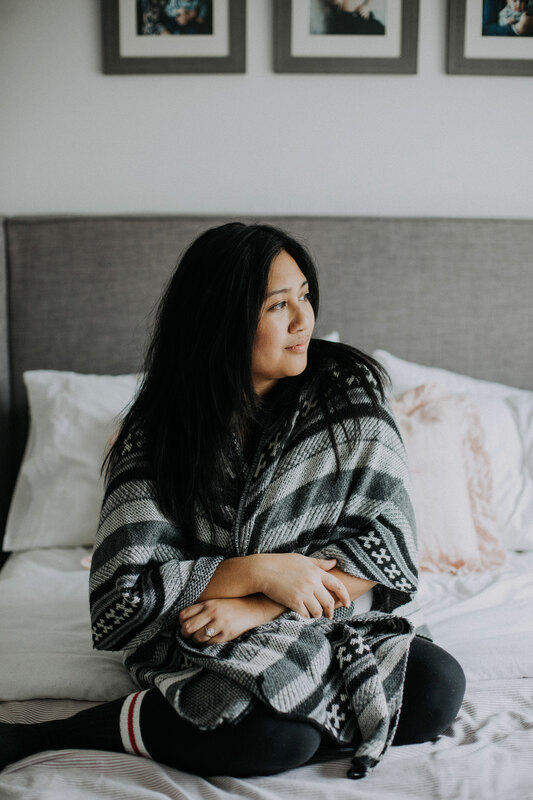 Nice post about how to be successful with New Years Resolutions. That can be tricky and tough! Sounds great I have a few goals myself but haven’t really thought much about them. I need to get on that! I love how you broke down your goals. Makes it seem much easier to obtain. Good luck with them. What a great way to ensure you reach your goals. I really like this approach. I like the way you broke down the goals, trust me I have some goals, I will you in the end of 2019 whether I full filled it or not. Good luck with your goals. Here’s wishing you much success crushing your goals this year. I read more since I bought an e-reader because now I can read in the dark without disturbing my husband. I cut the soda out by switching to fizzy water instead. I think your goals sound really realistic and achievable. wow, what a well thought out and comprehensive list of goals! i have no doubt that you will achieve success this year with these mindsets and methods. thanks for sharing! Well, it’s good to do resolutions but for me it’s all about goal setting. Trying to finish all my goals for the year, it’s for fulfilling and much more formal for me. Good read for New Year! I like your positive energy for the new year. I’m all for making goals/resolutions, in small amounts, so I’m not overwhelmed with trying to achieve them. Good luck to you and your goals! I really hope you stick them out this year! Great acronym for how you will start the new year! I love your breakdown on it! SMART goals are always a good, realistic way to establish and achieve goals. I think you have some reasonable ones described here. Best wishes for a successful 2019! I love that you make your new years resolution simple and smart. I think the best way to actually make & keep goals is by setting goals you know you can complete in a year. Then you can just replace those goals with new goals, that can always carry on until the next year.